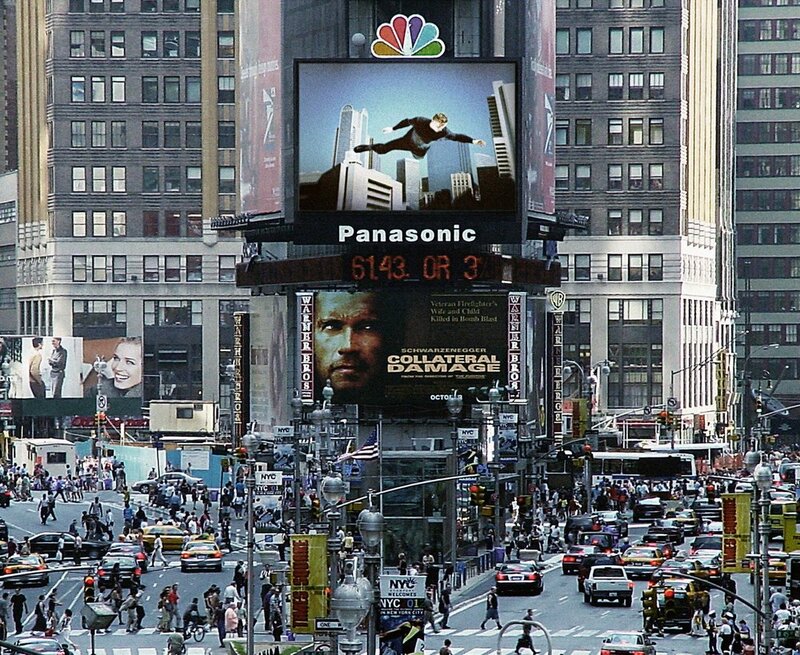 Superstar was commissioned by Creative Time to be presented on the first Jumbotron screen in Times Square, New York City. The subject appears suspended in time and space as the work uses leading edge technology of its time to replicate the classic still image of Yves Klein’s “Leap into the Void” from the 1960’s which shows the artist leaping from a ledge. The performance in Superstar was captured with 180 cameras mounted in a 360 degree ring to capture a 1/500 second of time and filmed in a pre-Matrix era and it’s introduction of “bullet-time.” Superstar, as its title implies, scrutinizes the ever-advancing spectacle of image production within the public sphere.